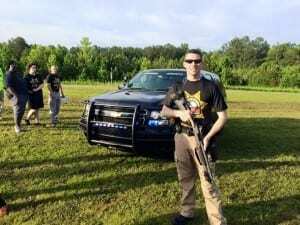 This is the third year that the Gwinnett County Sheriff’s Office has opened up their state of the art Law Enforcement Obstacle Training Course to the general public, and this little Local event keeps getting better. 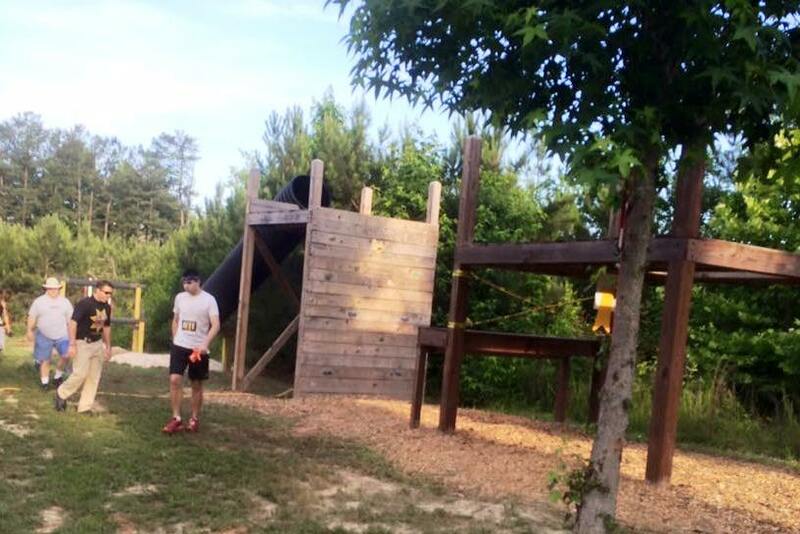 While not a traditional OCR where you run for short distances in between obstacles that are spread out, this is more like a 5k trail run around the jail with a nicely challenging obstacle course bunched up at the end. Newcomers and veterans alike can find things they like about the race, and it can be challenging for all levels of fitness. Located closer to downtown Atlanta than many of the bigger Race Series that stage “Atlanta” events by putting them in the boondocks, this is really convenient to a large population and should only keep growing in popularity. The race benefits the Sheriff’s Office Charities Fund that is used to assist in the operation of its Teen Mentoring Programs. But the registration cost is relatively inexpensive and they have free parking, free spectators, and free bag check. So while they are raising money, they’re not trying to steal it out of your pockets either. The Gwinnett County Jail is nestled in some woods directly off GA Hwy 316 and easy to access from many different directions. Parking was in paved lots, and the registration process was streamlined with electronic Death Waivers that you could fill out before race day, along with Pre-race packet pickup on Friday. If you took advantage of this you could have your bib, your very nice dri fit shirt, and your timing chip already on before you even left the house. There was even a water bottle, some sponsor’s coupons, and other swag in the bag. Registration was already in the Festival Area where you walked in past some impressive SWAT and tactical units while surrounded by 90% of the obstacles you’d be expected to conquer. There are a few obstacles on this permanent course that you just don’t see in most traveling roadshow OCRs and many people were intently studying and planning their strategies right away. It’s a relatively small area, but with an estimated 750 racers participating during the course of the day, it never really felt crowded. As word of this event continues to get around North Georgia, expect the number of participants to increase. This is a 5k race and GPS info put it right at 3.1 miles which is nice when you run what you’re expecting to run. This race offered many different levels of competition and separated the competitive heats that were run in the morning from the recreational heats that started later. 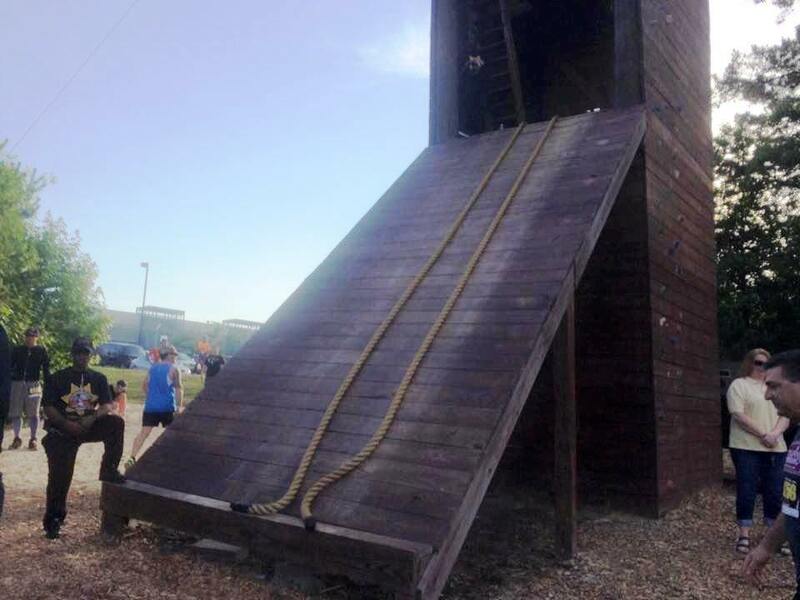 The competitive runners were broken into the usual Male and Female competitions along with Teams of four that competed as Male, Female, Mixed, and Public Safety Teams. Then each age group of five years also had awards in the top three. There were plenty of opportunities for people to stand out in competition against their peers. Running is the name of the game in this race for the majority of when you are out there. A true “Shotgun” start sent the runners off beside a pond as the geese scattered from the footsteps and the blast of a 12 gauge. You slowed down a bit for a simple sandbag carry on flat ground, and then a short stretch in a creek, then it was off to the races. Winding through the woods, then through parking lots and on private streets around the jail you were chasing “Escaped Prisoners” who were actually deputies dressed in striped pajamas with a flag on their backs. If you caught one and captured the flag you got a prize at the end of the race. Out on the course there were a few obstacles like a over and unders, a vertical cargo net, and an A frame to climb over. Then some were more silly than challenging like running a grapevine pattern around parking poles, running through a dumpster full of not so chilly water, or getting hosed with water from a bucket truck. After passing beside ominous fences with concertina wire coiled menacingly at the tops and the bottoms (one barbed wire obstacle no one ever wants to cross) you came into the actual obstacle course right at the end. There was an Attic Entry obstacle where you grabbed inside an overhead opening and swung your legs upwards through a small hole to get yourself into an “attic”. Definitely a law enforcement obstacle and not one usually seen elsewhere. A short wall with rock climbing cleats was next, followed by a slide down through sewer pipes. And then a rather tall “Sternum buster” with horizontal logs to climb on and jump over. 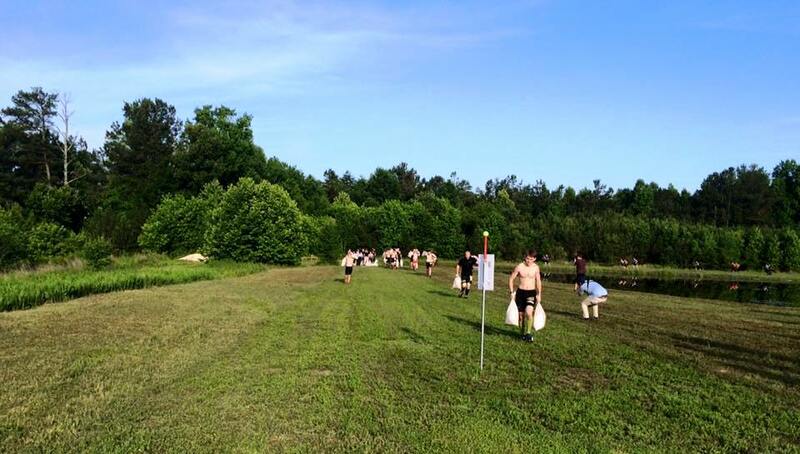 You wound your way around the festival area to the cheers of spectators and did a “Barbed wire crawl” through mulch and under bungee cords, a rope climb, and ran through a trench of muddy water because the rope traverse was shut down for safety reasons. Lastly there was a 12’ wall with ropes and braces that made it possible to cross over this, climb down, and run across the Finish Line sweaty and triumphant. The medal is a colorful rendition of a Sheriff’s Deputy’s Star badge, and they gave out bananas and water. Then you got to mingle and cheer on all the other racers as they did their obstacles. The awards ceremonies had medals and trophies depending on what was being awarded, and there were many beaming smiles from the people who qualified to receive extra Bling. Yuri Force was first overall male with a ridiculously fast time of 24:25, and Cacey Nix was first overall female at 36:00. I mean, those would be PR’s for a lot of people on flat 5k road races. 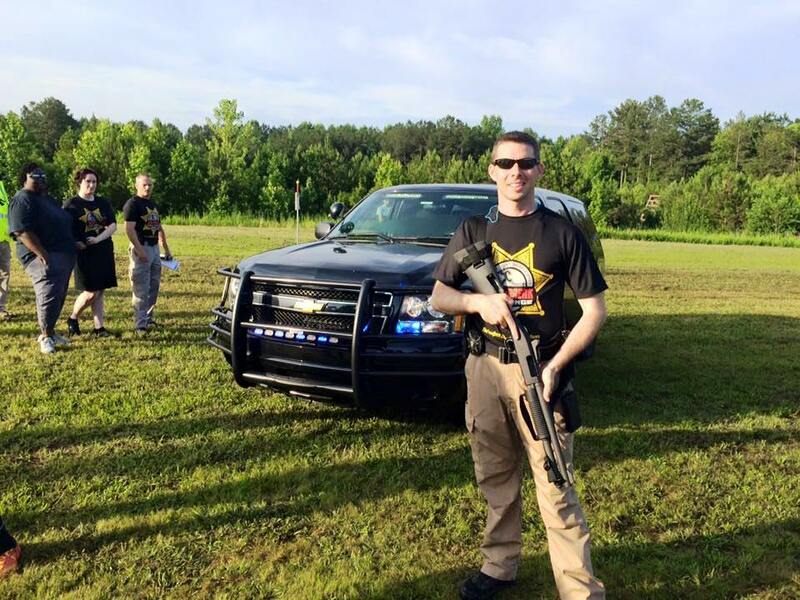 The race is amply staffed with Deputies, their families, and local supporters of law enforcement so every obstacle was manned with helpful and encouraging volunteers. I do have to mention that a Deputy or two might want to remember that the people running the race aren’t inmates or trainees in an academy. Screaming at and berating people who are trying their hardest to run the race safely and have a good time isn’t really the best way to treat your paying customers. But these few folks were the exception. This is a good, fun race for a reasonable price. I would highly recommend that you check it out next year. I know I will.